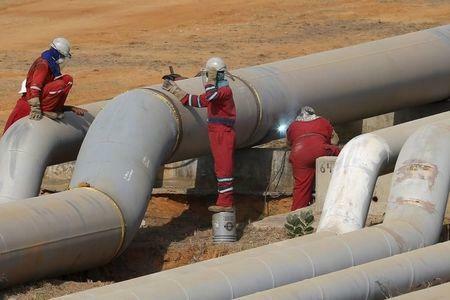 Without imports of light crudes and diluents like naphtha that have rose to some 110,000 barrels per day (bpd) in 2015, PDVSA may be unable to export an estimated 235,000 bpd of its own heavy blends, according to calculations based on Thomson Reuters trade flows data - a disruption that could help curb an oversupplied global market. 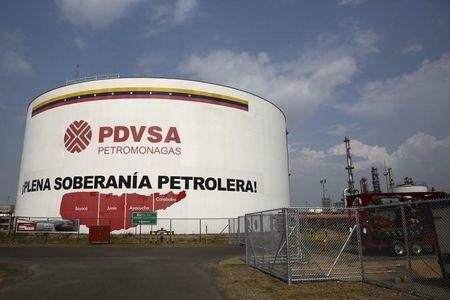 Crude blend supplies to the United States and Asia could also be sustained if PDVSA's partners, including U.S. Chevron <CVX.N>, Russia's Rosneft <ROSN.MM>, Spain's Repsol <REP.MC> and China's CNPC, step in to secure more diluents, as PDVSA has already asked them to do. Refinancing efforts, including a bond swap through its pension fund, are making little visible progress. Expected dividends from its U.S. unit Citgo Petroleum along with money coming from Russian Rosneft's <ROSN.MM> stake increase in a joint venture would not be enough to reach October with full pockets, a government source said. 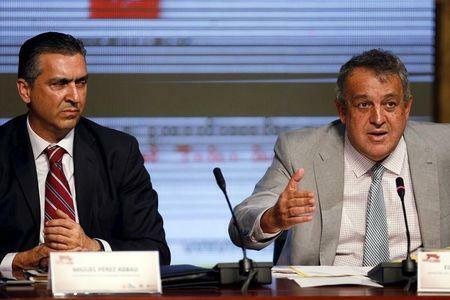 To ensure its supply lines remain open, PDVSA has signed deals with India's Reliance Industries <RELI.NS> and Rosneft to exchange crude by fuels. PDVSA's close ties with CNPC and PetroChina Co <601857.SS> could also guarantee some imports, but those could still be not enough to secure all barrels needed, traders said. Amid ongoing arbitration cases, oil giant ExxonMobil <XOM.N> was granted court orders in 2008 that temporarily froze up to $12 billion in PDVSA's overseas assets and $315 million in a joint bank account in New York. It was done through an extraordinary legal resource called 'Mareva injunction' that surprised Venezuela. PDVSA has taken steps recently to protect itself, including moving the accounts that collect money from its exports to China's CITIC Bank <601998.SS> from Banco Espirito Santo <BESN.D>.